I recently researched “electronic noses,” or the attempt to simulate olfactory senses via electronics and/or chemistry. While there is some wonderful work being done in this area, particularly with polymers at Caltech and electronics at the Monterrey Institute of Technology, I was pulled in the direction of real noses, particularly canine noses. Dogs possess 200–300 million olfactory receptors compared to our five million. It appears that we are just scratching the surface of understanding a dog’s ability to sniff things out. I want to highlight some of the advances in this area. Instead of using electronics to sniff out substances, dogs are being used to sniff out electronics. In a recent TechRepublic article the authors point out that dogs are used to find hidden electronics, from disk drives all the way down to microSD cards. Forensic researchers isolated compounds that are used in circuit boards and CDs and trained dogs to find them. Digital evidence is increasingly important in criminal investigations so this is a valuable contribution. Animals, particularly dogs, have a keener sense of smell than humans. They can detect small traces of various organic and inorganic substances and can alert to minute variations from norm. Dogs are being trained to detect various biological conditions such as diabetes and allergic reactions. Slight variations in a person’s odor will trigger the dog to react and either seek help or alert the patient. Dogs can also be trained to detect an oncoming seizure or panic attack. Research is being done now to try to train dogs to detect cancers. This is still a work in progress but would be a breakthrough in early intervention. The most visible group of detection dogs are the K9 units that accompany law enforcement. They can help to apprehend a suspect, but more importantly they can be used in search and rescue situations and are often trained to detect illegal drugs. Drug canines are trained to find particular odors through play practice with a similar scented toy. In essence, they really just want to play. Other dogs have a very serious duty to detect bombs in police and military work. They are trained to find specific chemicals used in bombs or an improvised explosive device. 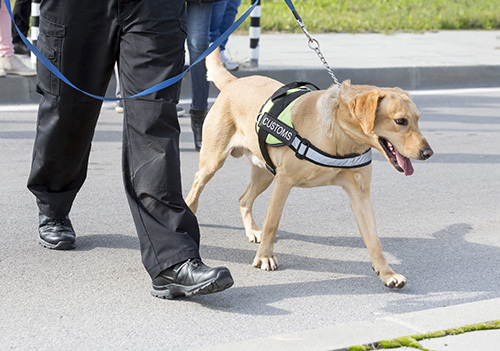 Unlike drug detecting dogs who actively paw at a potential drug find, the bomb sniffing dogs are trained to sit passively when they detect component chemicals. With their ultra sensitive noses, it is no wonder that dogs are able to perform critical, possibly lifesaving, work. Can technology ever replicate this? Could such devices be used in areas where dogs would be put in danger, such as search and rescue or toxic environments? I normally write about advances in technology, but wanted to highlight canine heroes that are in many ways better than devices and applications. Tell me about your favorite helpful canine friend. This entry was posted in Uncategorized and tagged canine, dog, drug detection, electronic nose, K9, medical, olfactory, storage detection on December 27, 2016 by Kelly Brown. In our hectic lives we sometimes forget some of the basic lessons we learned in kindergarten. 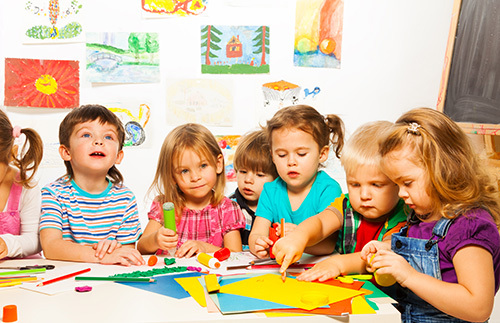 In an article last year titled “How Lessons From Kindergarten Can Help Office Civility” the author highlights some areas that can improve workplace productivity and overall happiness. These are simple, often overlooked lessons that when not practiced can leave us stressed and frustrated. As we approach the new year, it is a good time to commit to be more civil and open with coworkers. Here are some simple reminders that are just as important now as when we were kids. In the article mentioned above, some of the reasons for incivility include increased workload, stress, and being distracted when we should be paying attention to others. We may not even notice each other even though we exchange e-mails and texts and chats all day. I submit that a simple smile and a “good morning” would go far in creating a less stressful workplace. Those few seconds of interaction can open doors to authentic dialogue and better relationships and maybe even higher productivity. We often turn to technology to improve efficiency, but perhaps this simple step can contribute just as much. The urge to multitask can be great in our overloaded workdays, but when you are in a meeting or a presentation, it is polite to pay attention. We learned this lesson from our kindergarten teacher as well. A number of years ago I attended a meeting of coworkers in Texas. Most of us were teleworkers from various parts of the world so it was a genuine treat to get together and share ideas face-to-face. There was a jumble of LAN cables strung out on the conference room table so we could each connect to the internet while in the meeting. This was in the days before wireless connections and smartphones. I thought at the time of the absurdity of these internet connections when we had all spent so much time and effort to come together to work through issues. It did cause a distraction for some and we did not listen to the presenter as deeply as we could or should have. Let’s make a point of giving the speaker our full attention. I challenge you this week to reach out and extend a kind word to at least one coworker every day. Compliment them on the fine work that they do or something else you appreciate about them. For some, this may be standard practice but for others it may be difficult. If it is hard at first, work at it! It will become easier and it will improve your office environment. Once you start it, others will want to join in. Initiate a “kind word” movement at your workplace today. Every company and organization has a different culture and different set of values. I would be surprised if any of them actually valued incivility. Intel, for example, practices “constructive confrontation” which may actually appear as negative to an outsider. This is a problem solving method that encourages frank dialogue about any ideas or issues. Intel employees recognize feedback as a gift and get to problem resolution quicker through honest and sometimes blunt discussion. While the communication may be direct they still have respect for each other and individual opinions. This blend of constructive confrontation and respect has kept them at the top of the processor game for many years. No matter your organization’s culture, the lessons we learned in kindergarten still apply. These are simple ideas but they are as important today as when we first learned them. Be polite, pay attention, and extend a kind word or a hand to your colleagues. Put down the technology once in awhile and notice and appreciate the great people you work with. Let me know your thoughts. This entry was posted in Uncategorized and tagged civility, co-worker, communication, culture, incivility, kindergarten, lessons, management, office, organization, smile, values on December 20, 2016 by Kelly Brown. This blog post is a review of 2016 technology trends and their impact on how we will work and live in the future. Many of the advances are continuations of work from years past, but we are getting ever closer to a different world. MIT Technology Review publishes a Top 10 Technologies list and this year it included research from the University of Washington on passive wi-fi devices. The UW team has developed breakthrough ultra-low power devices that reflect the signal or backscatter from a nearby connected wi-fi transmitter. This is important because it will allow Internet of Things devices to be embedded in areas that can’t always rely on a traditional wireless signal. MIT suggests that this will be commercialized in two or three years and will help spread the popularity of small, connected devices. Another emerging communication technology is the conversational or natural language interface. With the introduction of Amazon Echo, Google Home and other devices, it is common to have a spoken interface as opposed to typed instructions. We are finally moving away from text input thanks to innovations in speech recognition. In a recent report in the MIT Sloan Management Review, vendors are taking this one step further and capturing chat or speech conversations via bots in order to offer associated services. For example, your next pizza order could be through natural language input to an app while conversing with a bot recording your instructions. Surely with your pizza and bread sticks you must need a salad or soda that just happens to be on sale right now. The bot processes information from the context of the conversation and makes decisions and offers on the fly. Artificial intelligence (AI) or machine learning is a technology that data scientists have been developing for many years and will continue to develop. Cognitive computing combines AI, natural language processing, speech, vision, and advanced data processing. 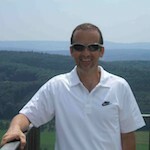 These systems take input and match it to massive databases to form responses and learn new pathways. By learning and creating new algorithms, the system and applications are better able to serve you in the future. Examples of cognitive computing are IBM Watson and Google DeepMind. In the case of the pizza order above, cognitive computing is an example of how a computer can learn preferences and build responses appropriately. Robotic and autonomous technologies have made strides this year as they move closer to mainstream adoption. Robots have been used for some time in industrial and assembly applications where consistency and precision is important. They also play a big role in areas where there are life and safety threats, such as search and rescue or in an area contaminated with toxic chemicals. 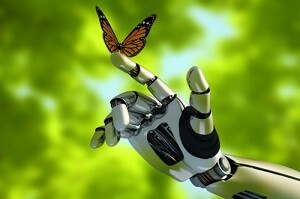 We don’t have the same regard for the “life” of a robot as we do for humans. In that sense, they are very much welcome into our ecosystem. Autonomous automotive technologies also made progress in 2016. Automakers are introducing applications like steering assist or autonomous steering and adaptive cruise control. New vehicles are slowly being equipped with technology that will eventually render them completely self-driving. Makers such as Volvo and Mercedes are testing more autonomous vehicles on public roads. Self-driving vehicles require advanced vision and learning systems provided by improvements in cognitive computing mentioned above. Advanced communications, cognitive and autonomous technologies have all been in play in 2016. These are all interrelated advancements that often benefit each other. While exciting, these developments also bring worries, including economic and safety concerns with robotics and privacy concerns with learning systems and communications. It is important that we march into the future with a balanced perspective. What do you see as the upcoming technologies in 2017? Will we see any breakthroughs? Let me know your thoughts. This entry was posted in Uncategorized and tagged advanced systems, autonomous vehicle, cognitive computing, communications, internet of things, passive wi-fi, robotics, robots, technology on December 13, 2016 by Kelly Brown. One of my favorite short courses in the AIM curriculum is Business Continuity and Disaster Recovery Planning, which covers the steps necessary to protect yourself and your business from potential outages due to natural or technological disasters. I have previously written about the necessities of such planning. With the official start of winter just weeks away, I want to highlight safety planning for weather hazards that may not throw your business into disarray but could certainly provide a temporary hazard for employees. The good news is that there are ways to mitigate such disruptions and keep workers safe. If a storm prevented at least half of our employees from coming to work, could we still operate? 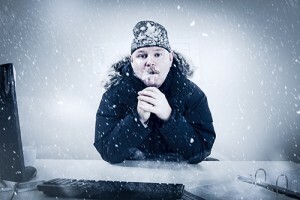 Do we have a way to notify employees to stay home in the event of an emergency? How do we determine what constitutes a hazard that would limit or shut down the business? What if a weather event strikes while employees are at work and they cannot get home? Do we have a plan for temporary housing, even for one night? How many employees have the ability to work from home and can they effectively do so? While continuing business operations is important, it is even more important to protect the safety of employees. At what point will we decide to shut down the business? How will we communicate that to employees? Does everyone know our method of communication? How can we help employees develop their own safety plan? Do we have supplies on hand to take care of employees temporarily? Can technology help us operate without asking employees to travel? This takes input and coordination from several departments including HR, information technology, and communications. We may take it for granted that someone is thinking and planning for this, but often no one does. Make sure a safety plan and structures are in place and then rehearse that plan at least once a year. A plan buried deep in a notebook or file is the same as no plan at all. I think it has become a cliché to say that employees are the most important asset, but it is definitely true. Without workers business stops, so it is prudent to think of employees first. Does your business have a safety plan? Do you have a personal plan for you and your family? This entry was posted in Uncategorized and tagged business continuity plan, communications, employee plan, hazardous weather, planning, Preparation, safety plan, winter weather on December 6, 2016 by Kelly Brown.